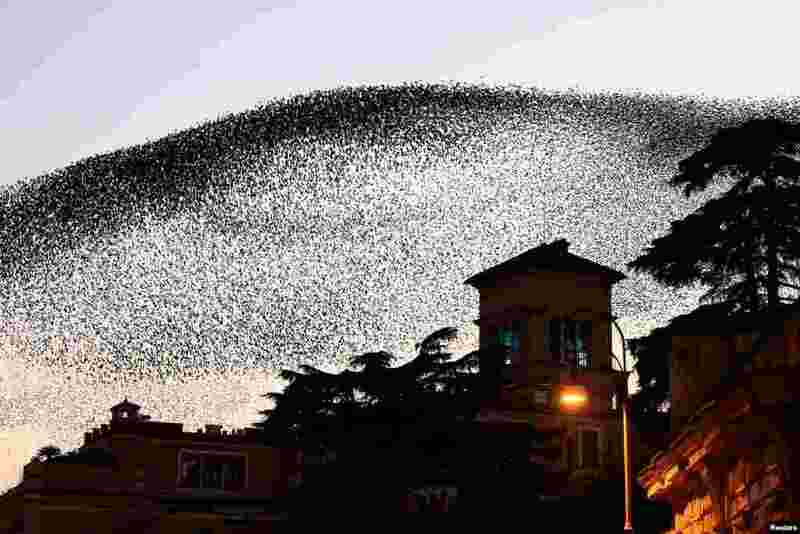 ١ A flock of starlings fills the dusk sky over Rome, Italy. 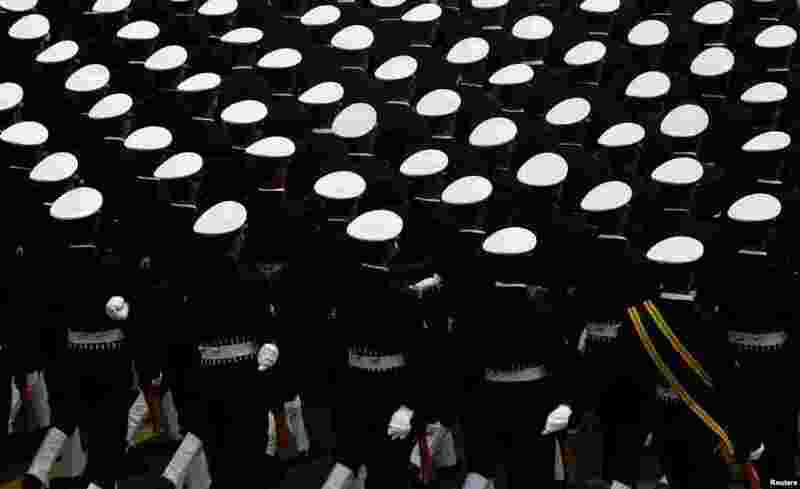 ٢ Indian soldiers march during a full dress rehearsal for the Republic Day parade in New Delhi. 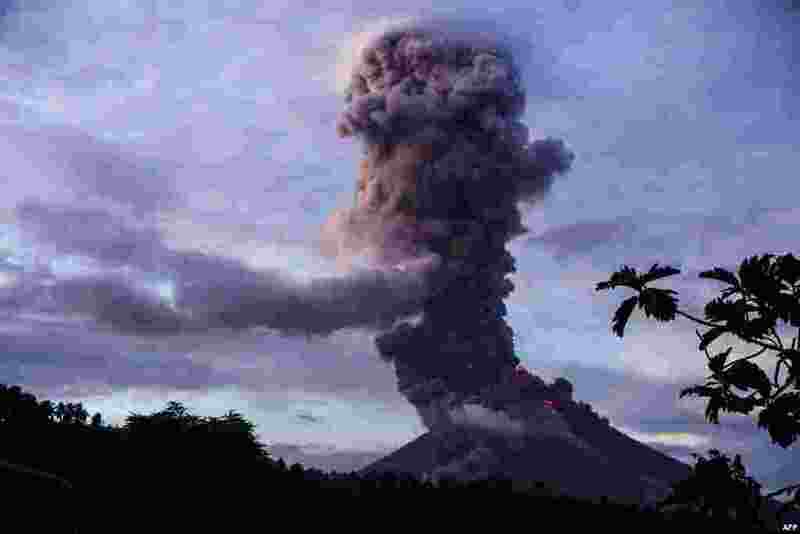 ٣ The Mayon volcano spews lava as it continues to erupt, as seen from Daraga town, in Albay province, south of Manila, Philippines. 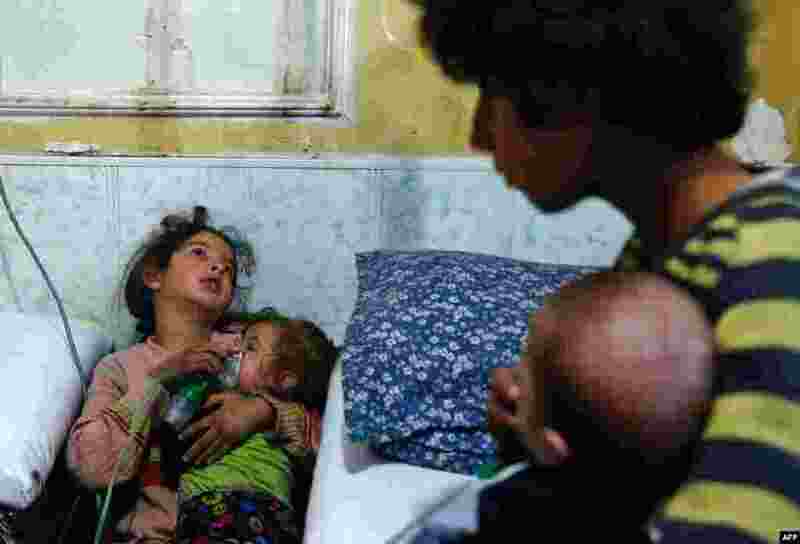 ٤ A Syrian girl holds an oxygen mask over the face of an infant at a make-shift hospital following a reported gas attack on the rebel-held besieged town of Douma in the eastern Ghouta region on the outskirts of the capital Damascus, Jan. 22, 2018. At least 21 cases of suffocation, including children, were reported.